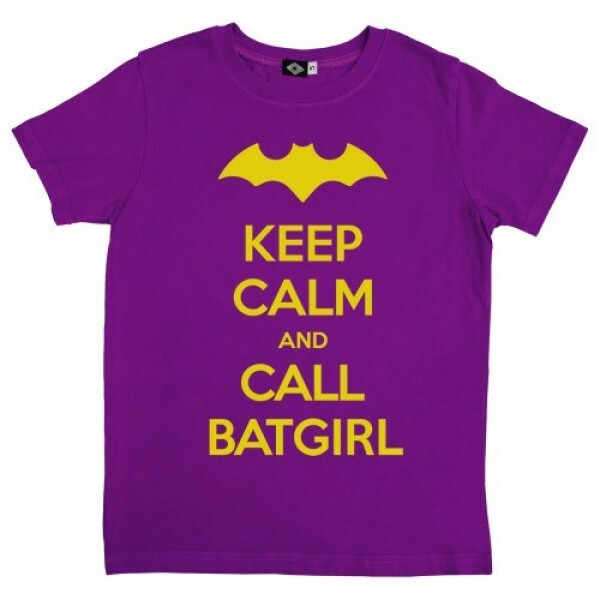 Every girl knows that the best plan is to keep calm -- and call Batgirl! This T-shirt is available in vintage grape with yellow lettering or vintage pink with black lettering. It is available in children's sizes 2 to 6 and youth sizes 7/8 and 10/12 via the link below. This shirt is also available in women's sizes extra-small (US size 0 - 2) to extra-large (US size 16 - 18). For more girl-empowering 'Keep Calm' shirts, check out the Keep Calm and Call Wonder Women and Keep Calm and Carry a Wand versions. To view more girl-empowering shirts, visit A Mighty Girl's extensive Clothing section.